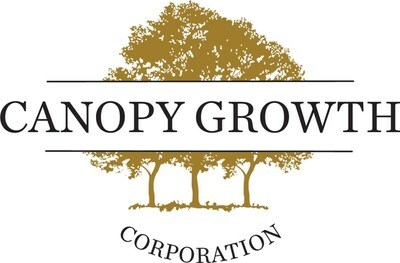 SMITHS FALLS, ON, Feb. 7, 2019 /CNW/ - Canopy Growth Corporation ("Canopy Growth" or the "Company") (TSX: WEED) (NYSE: CGC) is pleased to announce that it intends to increase its total investment in Canopy Rivers Inc. ("Canopy Rivers") (TSXV: RIV) by $30 million (CDN). The investment will be made through a private placement of subordinated voting shares in the capital of Canopy Rivers (the "Subordinate Voting Shares") concurrent with Canopy Rivers bought deal offering of Subordinate Voting Shares for gross proceeds of approximately $55 million. This investment is being co-led by CIBC Capital Markets and Eight Capital and is expected to close on or about February 27, 2019. This news release contains "forward-looking statements" within the meaning of the United States Private Securities Litigation Reform Act of 1995 and "forward-looking information" within the meaning of applicable Canadian securities legislation. Often, but not always, forward-looking statements and information can be identified by the use of words such as "plans", "expects" or "does not expect", "is expected", "estimates", "intends", "anticipates" or "does not anticipate", or "believes", or variations of such words and phrases or state that certain actions, events or results "may", "could", "would", "might" or "will" be taken, occur or be achieved. Forward-looking statements or information involve known and unknown risks, uncertainties and other factors which may cause the actual results, performance or achievements of Canopy Growth or its subsidiaries to be materially different from any future results, performance or achievements expressed or implied by the forward-looking statements or information contained in this news release. Examples of such statements include statements with respect to the closing of the Investment; the advantage of a strengthened Canopy Rivers/Canopy Growth relationship and Canopy Rivers' future investment potential. Risks, uncertainties and other factors involved with forward-looking information could cause actual events, results, performance, prospects and opportunities to differ materially from those expressed or implied by such forward-looking information, including the Company's financing risks; risks related to strategic investments; conflict of interest risks; investment and divestiture risks; and such risks contained in the Company's annual information form dated June 27, 2018 and filed with Canadian securities regulators available on the Company's issuer profile on SEDAR at www.sedar.com. Although the Company believes that the assumptions and factors used in preparing the forward-looking information or forward-looking statements in this news release are reasonable, undue reliance should not be placed on such information and no assurance can be given that such events will occur in the disclosed time frames or at all. The forward-looking information and forward-looking statements included in this news release are made as of the date of this news release and the Company does not undertake an obligation to publicly update such forward-looking information or forward-looking statements to reflect new information, subsequent events or otherwise unless required by applicable securities laws.